It's getting close to present wrapping time. That's when you discover you haven't enough tags. Here's a super quick idea. Cut A4 lengthwise into two 10 cm strips. 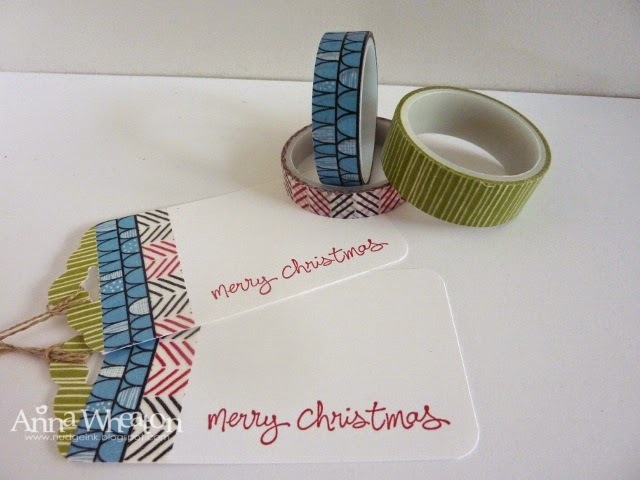 Put washi tape along the long side - I used three strips from the Santa and Co. washi tape. Cut along long side at 5cm intervals. 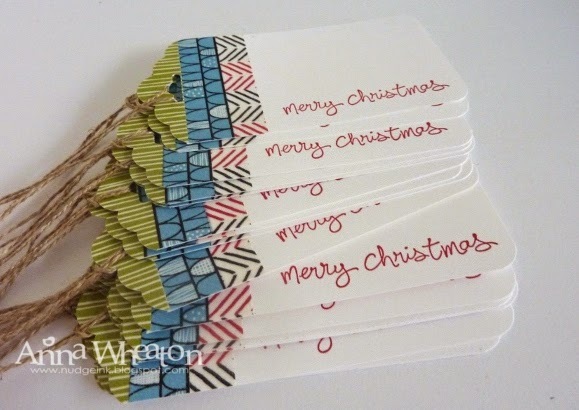 You'll end up with five tags from each strip each measuring 10cm x 5 cm. Insert the washi end into the Scallop Tag Topper Punch and corner round the corners of the other end. 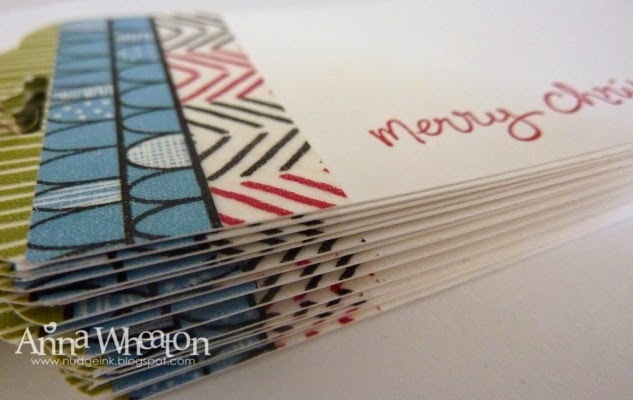 Stamp with a Christmas greeting. Thread linen thread through the hole and voila! Eek! I have a graduate!